Great opportunity to live in highly desirable Holmdel at an affordable price! 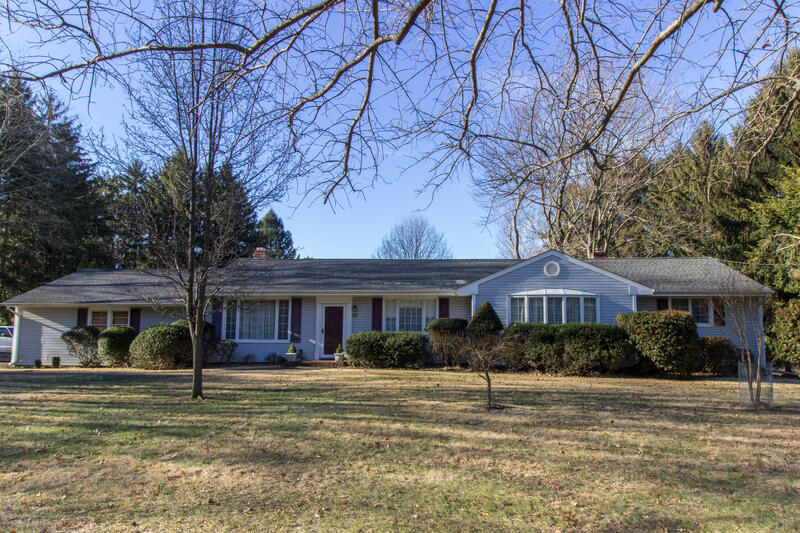 On almost an acre of level property, this spacious ranch boasts a large family room with wood burning fireplace, nicely sized living and dining rooms, hardwood floors throughout and a sprawling screened porch overlooking the inground pool. The partial basement runs under most of the house and offers a 27'' X 15'' finished room, small office, utility room, and half bath. Situated on a corner lot, the driveway faces Allocco Drive for ease of exiting. There is even city sewers and city water!